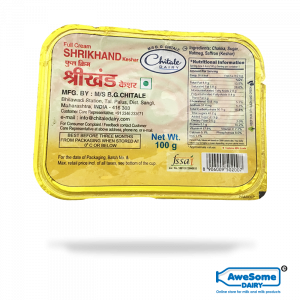 Shrikhand is a rich source of calcium, phosphorus, vitamin B1, B2 and B12. 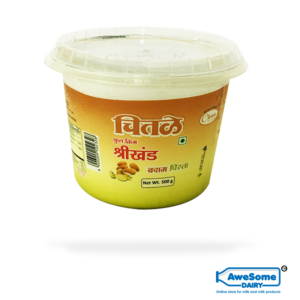 At Awesome Dairy, one can get the different varieties of Shrikhand available in various quantities. It is an Indian sweet dish made from strained yoghurt. 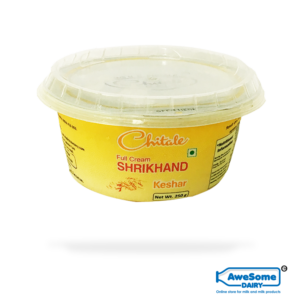 Shrikhand has been referred to as Shikhrini literature. It is one of the main desserts in Maharashtrian and Gujarati cuisine. This dairy product helps your skin to gain softness and smoothness. 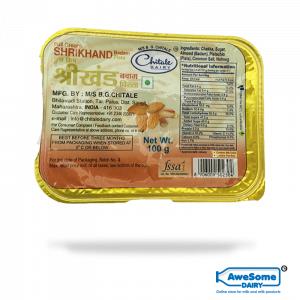 Shrikhand is good for teeth and bones as it includes calcium, which is known to maintain the health of both. 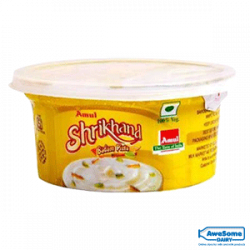 Shrikhand also aids in better sleep and reduces dandruff. 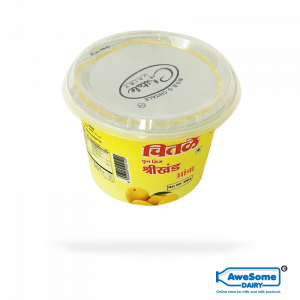 You can get delicious Badam Pista blended Shrikhand at Awesome Dairy. 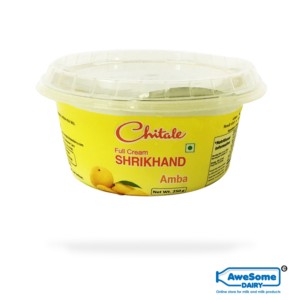 Chitale, as well as Amul, well-known brand for milk products, are preferred choice for healthy and rich ‘Badam Pista’ flavoured shrikhand. 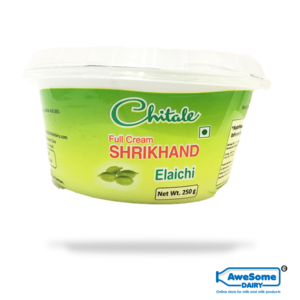 This variety of shrikhand is famous for its mouthwatering taste. 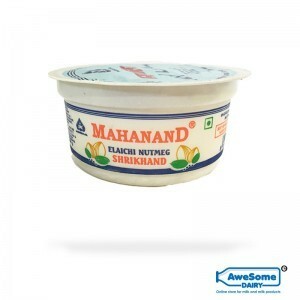 It has the goodness of milk and most suitable for vegetarians. It contains vitamin A, C, fibre, carbohydrates and diverse other nutrients which are essential for your body. 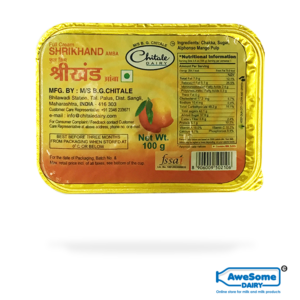 Also try a blended taste of Kesar, Mango Shrikhand. 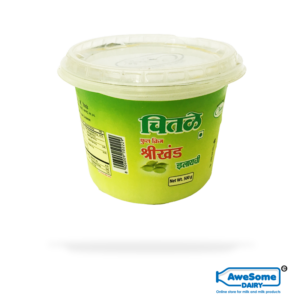 Now, one can buy Shrikhand and all the other dairy products at Awesome Dairy. It is an all in one store for milk products. 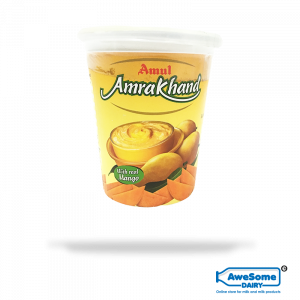 Here one can get Shrikhand online in various flavours such as Kesar, Badam Pista, Mango, Amrakhand, Elaichi, full cream etc. 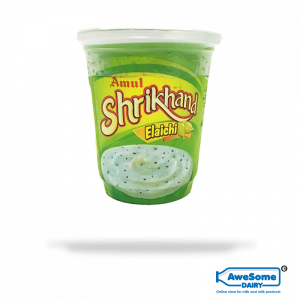 Except this, we have partnered with top brands so users get a taste of like Chitale, Gowardhan and Amul Shrikhand. 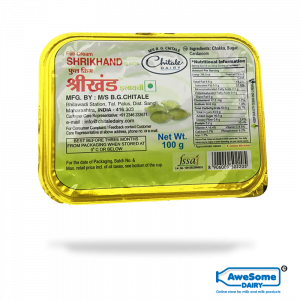 All the products are available in pouches and different quantities as per your convenience. We are proud to reach over 20,000 families all over Mumbai. We also provide milk subscription offers. Our combo offers are one of the best in the market. We deliver products in temperature container box, which is developed for safe and fresh delivery of milk products. 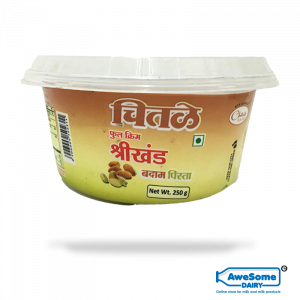 Place online shrikhand order now by downloading Awesome Diary app or just drop a message in our chat section.